Any update on this issue? It seems to be an issue related with cinnamon and fglrx. I read somewhere that radeon drivers are not afectted with this problem. Does this problem still persists ? And are the Radeon drivers affected ? JESSEJJ89 wrote: Does this problem still persists ? And are the Radeon drivers affected ? It's still a problem for me with an AMD Radeon HD 7500 Series. Screenshots show the screen as it was several minutes ago. I'm using Linux Mint 13 Maya. In "Additional Drivers" I have selected "ATI/AMD proprietary FGLRX graphics driver (post-release updates)". I use the workaround posted by Devil999 a few posts back: press Alt-F2 and type 'r' (just the letter). Then take the screenshot. It's not a fix, but it has always worked for me. My problem is that it also affects Skype.. I use it's "share your screen" feature, but it just shows my background on the other users end. I'll just install Ubuntu 12.10, and hopefully it doesn't give me the same problems. I just wanted to see if I could share some information that I've found in this issue, and possibly get a response? Does anyone know what the issue is? Maybe the screenshot programs always uses the discrete card even if it's turned off. Has anyone solved this problem yet? Unfortunately, no. I still have this problem with 1.8.6 (Ubuntu 13.04 with fglrx-updates drivers.). But I'd like to congratulate this thread on its one year anniversary! Still going strong! Do Cinnamon developers even know about this issue? What do they say? I am asking as I don't know bug-repairing procedures, I only know there exist something like that. I strongly recommend to upgrade to Olivia for those, who have ATI/AMD Graphics Card. The problem seems to have been fixed with the latest version of Cinnamon. After months of deliberation, I've finally decided to take the plunge back into Arch Linux. Arch (as of writing) has Cinnamon 1.8.8 in its repos. I installed Arch along with Cinnamon yesterday, and I'm happy to say that I no longer have this issue regarding FGLRX and Cinnamon. I'm currently using Cinnamon 1.8.8 with SLiM as the display manager, and I'm pretty satisfied. To those who have this problem: upgrade to the latest version of Cinnamon, if you have Linux Mint 14, try upgrading to Linux Mint 15, like jaskmar said. Regarding LMDE, 1.8 should be either in the romeo repository or the official repositories. Not sure which. It was in romeo last time I checked but it's possible that it has made it to the main repos now. Anyway, thanks to the devs for fixing this problem! I'm use AMD E-450 with full install , and this problem is still show. the capture's place. But the images we got is all black. When I take a screenshot it seems to do so of whatever is below the view I see. So sometimes I take a screenshot of my Desktop Wallpaper. This happens on LMDE and uBuntu running Cinnamon 1.8 and 2.0. I'm an AMD GPU user. That seems to be the common thread here but the issue goes away if I swop back to Unity. So, from what I gather Cinnamon had problems with fglrx because fglrx is hard to work due to it being closed source AMD stuff. Then, one day they worked around it in a new version for Cinnamon. and I think whatever problem was fixed with fglrx, still remains with the legacy driver. I'm still getting the screenshot bug, the buggy textures when I expo my workspaces, entire screen blipping when something new shows up on the tray bar..
OpenGL vendor string: Advanced Micro Devices, Inc.
Hello, I am having the issue with the screenshots from Shutter making only black screenshots. 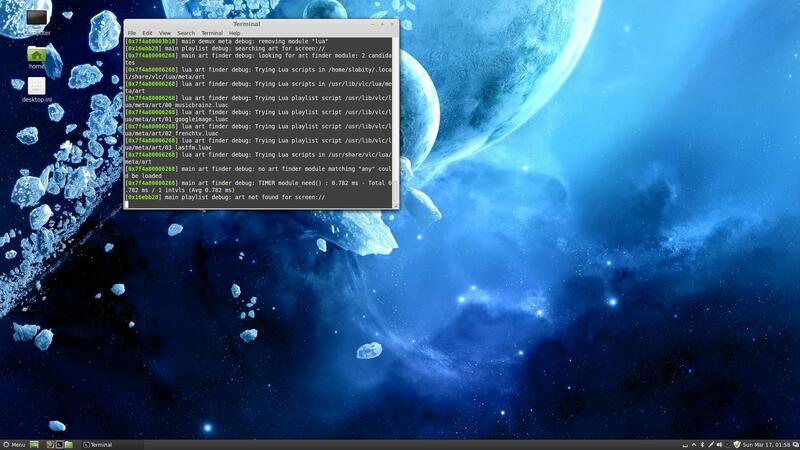 I am running Linux Mint 15 Olivia. My video card is the A10 APU and my drivers are FGLRX. I am attempting to change them to the recommended Xorg drivers to see if that fixes the problem. Will update if this works. Rebooting now. EDIT: Yep. That fixed it. Shutter now works like a charm. I don't know whether it was the driver or kernel update that fixed the problem. Maybe both. I have an HD7770, and am running Cinnamon 1.8. I have just used Synaptic Package Manager to install AMD's fglrx-amdcccle-updates 2.12.104-0unbunitu0.0.1. SPM describes this as Catylst Control Centre Linux Edition, which I guess is what the acronym means. SPM said it would delete fglrx-amdcccle, the latest version of which appears to be 2.8.960-0unbuntu1.1. I see there are other fglrx-amdcccle versions with 'experimental' in their names. I did not touch these. RESULT: success. Screenshots of 'select area' are accurately rendered to desktop. I now have to find the other topic to which I recall I have cross-posted and offer the same information.